This entry was posted on Wednesday, November 20, 2013 and is filed under black,blue,denim,leather,leoard,plaid,prints,red. You can follow any responses to this entry through the RSS 2.0. You can leave a response. I want some leopard in my wardrobe a little bit more every time I see one of you leopard outfits. I love it paired with flannel! Amazing! I have a leopard coat almost identical to this one...I'm just waiting for the perfect occasion to debut it again this season!! Love the contrast with your red plaid scarf!! Looking great, Sheree! Love the mix of prints - and a little denim added always looks great!! Yayyy.....all my fave trends in 1 look!!!! 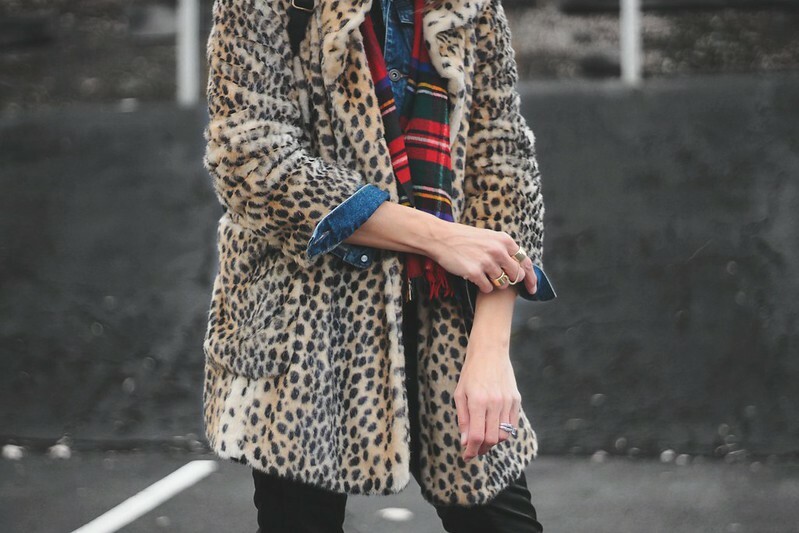 That leopard coat is pretty amazing. I sort of want one for myself! There's nothing I don't love about this...perfect! That is an awesome combo. Love it! 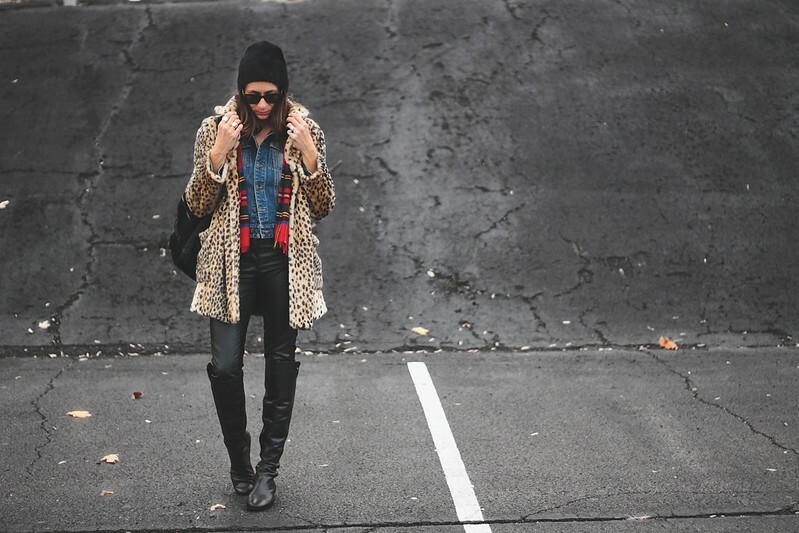 Love the mix of plaid and leopard print together...now I want to give this mix a try!